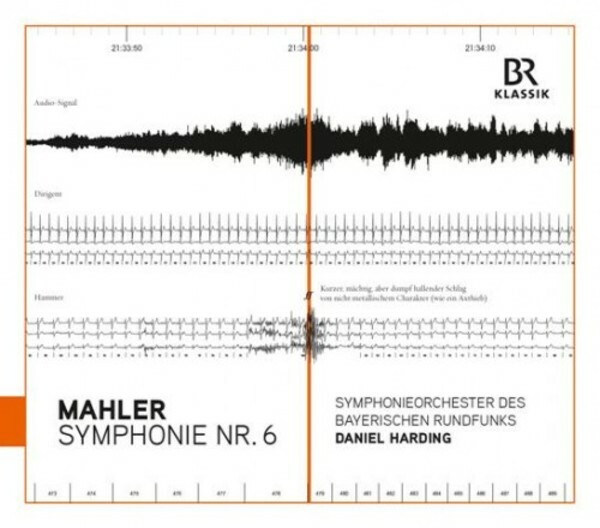 Daniel Harding follows his first CD recording on the BR-KLASSIK label (Schumann's Faust Scenes, 900122) with this live recording of Gustav Mahler's Sixth Symphony. Counting Sir Simon Rattle and Claudio Abbado among his teachers, since 2005 he has constantly made a name for himself with spectacular concerts with the Symphonieorchester des Bayerischen Rundfunks as a guest conductor. In this live recording of 2014 from Munich's Philharmonie im Gasteig, BR-KLASSIK presents one of Mahler's most unusual symphonies. Its dark and complex score contrasts starkly with what appeared on the surface to be a happy and carefree phase of the composer's life when he wrote it. The world-class conductor Daniel Harding demonstrates great artistic flexibility here, and with the Symphonieorchester des Bayerischen Rundfunks, he encounters an ensemble that has been among the pioneers of Mahler performance ever since the Kubel�k era of the 1960s.